and grows to a length of about 1 cm. 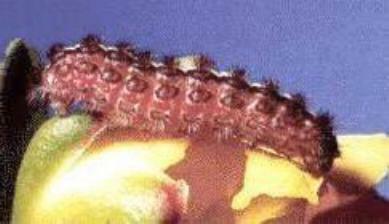 It pupates in a cocoon amongst the foliage or in the ground litter at the foot of the foodplant. 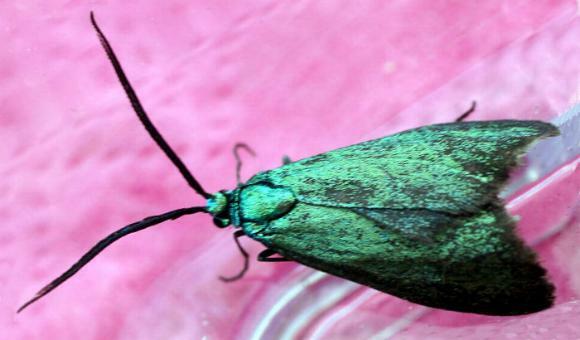 The adult moth has spectacular metallic blue-green head, thorax, and forewings. 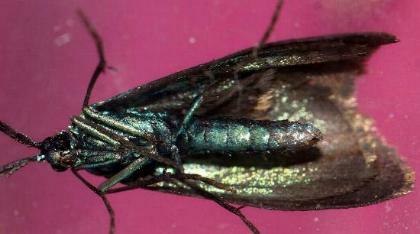 The hindwings are grey. 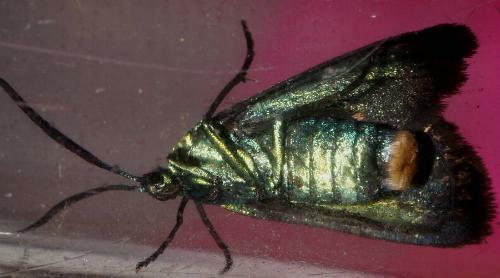 Sadly the shiny green scales rub off the wings very easily when the moth is handled. 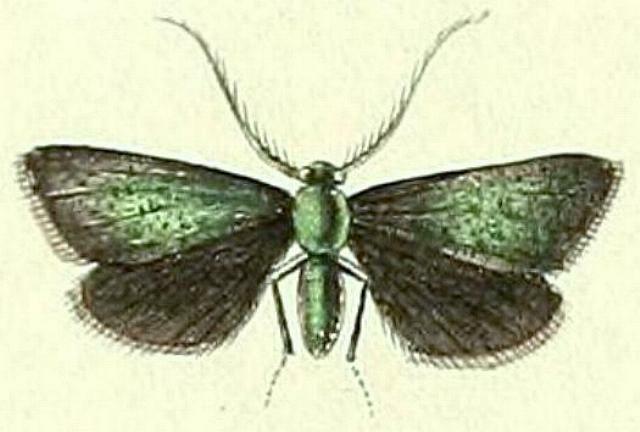 The female has a yellow tuft at the tip of the abdomen. The moths have a wingspan of about 3 cms. Volume 2, Part 1 (1839), Plate 11, fig. 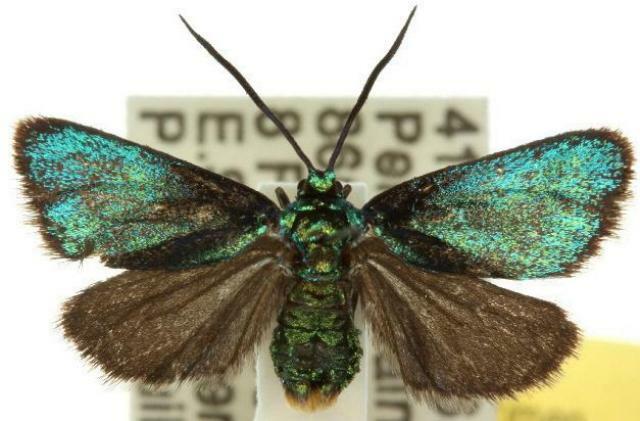 4, image courtesy of Biodiversity Heritage Library, digitized by Smithsonian Libraries. Melbourne University Press, 1990, pl. 24.12, p. 297. New South Wales University Press, Sydney 1992, p. 91. Volume 2, Part 1 (1839), p. 2, and also Plate 11, fig. 4. CSIRO Publishing 2005, pp. 11-12, 28, 31-32, 37-38, 59, 63, 65, 67-72, 76, 82-83, 108, 116-117, 126, pls. 1, 2, 3, 59, 60, 61, 64.